What exactly makes Jonathan Trappe, an IT manager at Accenture in New York, think he can fly across the Atlantic beneath a towering cluster of helium filled balloons? What makes a sailor think he can stay at sea for 1,152 days? Or a polar explorer mush across Antarctica for seven months and 3,741 miles? For 19 years this month we've celebrated stories of extraordinary expeditions, and this one is right up there. As in Up, the popular hit movie from Disney Pixar. Last month, Trappe broke the record for the largest-ever manned cluster balloon flight, lifting off from Caribou, Maine, and traveling 466 miles - over 300 miles of that above open water - en route to Newfoundland. Impressive. A record, although far short of a 2,500-mile trans-Atlantic crossing, which was his goal. In June 2008, Trappe, who is single, took a regular office chair from Accenture, a standard Steelcase Uno, tied it beneath 55 8-ft. balloons, and flew it to 15,000 feet. "I washed it off, then returned it to work. They would have never known, except it was in all the papers," he tells EN. Trappe was hired by Disney Pixar in spring 2009 to participate in a 20-market promotion tour, flying his multi-coloredcraft above a small house to help promote the theatrical film Up in which the central character, Carl Fredricksen, strapped hundreds of equally bright balloons to his house to transport it from the U.S. to South America. Then in May 2010, he crossed the English Channel in a cluster balloon flight, beneath 55 balloons ranging in size from 5-1/2- to 8-1/2 feet. Another test flight was flown in Mexico in 2012, where he logged 118 miles at a maximum altitude of 20,000 feet over a period of 7-1/2 hours. If anyone can cross the Atlantic under a multi-cell cluster balloon system, our money is on Jonathan Trappe. A licensed pilot, and builder of the aircraft, it took over a year of FAA applications to get the system certified as a federally registered aircraft with an airworthiness certificate. To date, his $500,000-plus project is largely self-funded. Sponsorship support would speed the next attempt along, but he's not actively looking for dollars. He's too busy sweating over the details for another trans-Atlantic attempt next summer. "Cluster flight, honestly, is not something that will catch on," he tells us. "It takes an immense amount of preparation and planning for these ephemeral moments in the sky. There are more practical ways to get from point A to point B. But it's a gorgeous and fantastic way of flight." He adds, "We had exceptional exposure from our trans-Atlantic effort this year, and a successful crossing would be a world-wide event; even our flight this season, which was well short of my goal, generated national news and front pages around the world. Nonetheless, it takes a very specific sponsor to enable this type of flight ­- someone that is not risk adverse." Between now and next summer when the trans-Atlantic weather window opens July 1, Trappe will be testing a new cluster balloon system. First unmanned, then manned - like a famous character in a Disney cartoon. British polar explorers Ben Saunders, 36, and Tarka L'Herpiniere, 32, hope to complete Captain Robert F. Scott's ill-fated 1910-12 expedition, taking them on an unsupported 1,800-mile roundtrip journey from the edge of Antarctica to the South Pole. If successful, they will be the first people to complete the return journey that Captain Scott died attempting more than 100 years ago. Saunders tells the U.K's Telegraph (Oct. 9), "Completing Scott's Terra Nova Expedition is a lifelong dream of mine and I'm so excited to be standing here today about to embark on the journey with Tarka. "Captain Scott and his men died having covered almost 1,600 miles on the Terra Nova Expedition, and this feat has never been surpassed. In many ways, their journey remains the high watermark of human endeavour in the harshest environment on the planet." Saunders and L'Herpiniere will walk an average 9-1/2 hours each day and are expected to take 110 days to complete the expedition and will face temperatures as low as minus 58 degrees F.
Departing from Scott's wooden hut on the north shore of Cape Evans on Ross Island, Antarctica, they will traverse the Ross Ice Shelf, climb up to the Beardmore Glacier, cross the Antarctica Plateau to the South Pole before coming back. The explorers also hope to set a new benchmark in the use of expedition technology. Videos will be uploaded, along with photos, blogs and key data recorded in near real-time as the trip progresses. A recent expedition in the rainforest wilderness of Suriname resulted in the discovery of a whopping 60 new species. The northern South American nation is home to some of the most remote and uncharted territory left on earth. Leeanne Alonso, an expedition leader with the Global Wildlife Conservation, said, "I have conducted expeditions all over the world, but never have I seen such beautiful, pristine forests so untouched by humans." As sensitive frog populations have been suffering from fungus infections and polluted habitats around the world, the research team was particularly excited to find six new frog species in the Suriname forests. Also discovered were 39 species of small mammals, including rodents, bats and opossums. Small animals such as these are directly linked to forest health as they eat and disperse seeds. The country of Suriname, due in part to these furry critters, has maintained an amazing 95% of its natural forests. The nation is part of the South American Guiana Shield wilderness, which contains 24% of the earth's rainforest. According to expedition leader Trond Larsen, the Suriname wilderness offers a valuable chance for learning and protection. He said, "Suriname is one of the last places where an opportunity still exists to conserve massive tracts of untouched forest and pristine rivers where biodiversity is thriving." A French climber scaling a glacier off Mont Blanc stumbled across a treasure trove of emeralds, rubies and sapphires that had been buried for decades. The jewels, estimated to be worth up to 246,000 euros ($332,000), lay hidden in a metal box that was on board an Indian plane that crashed in the desolate landscape some 50 years ago. The climber turned the haul in to local police. French authorities are contacting their Indian counterparts to trace the owner or heirs of the jewels. Under French law, the jewelry could be handed over to the mountaineer if these are not identified. Two Air India planes crashed into Mont Blanc in 1950 and in 1966. Climbers routinely find debris, baggage and human remains. "An adventure is really just a sign of incompetence. Every thing that you add to an explorer's heroism, you must subtract from his intelligence." This month marks the 11th anniversary of the death of Audrey Mestre in 2002 at age 28, while trying to go down and up the underwater equivalent of a 56-story building on a single breath of air. It was a tragedy that roiled the free-diving community worldwide. Authorities in the Dominican Republic, where the incident took place, ruled it an accident, but some accused her husband, freediver Francisco "Pipin" Ferreras, of negligence or worse. Ferreras, now 51, retired from competitive diving after his wife's death. He dissolved his company, the International Association of Free Divers, and did some photography and promotions work. Now, according to a story by Susan Cocking in the Miami Herald (Sept. 5), he is announcing a comeback: an attempt in 2014 to break the "no-limits" world record of 702 feet set by Austria's Herbert Nitsch in 2007 off Greece. "It's something I've been thinking for years about," he said in a recent interview at his Miami office. "People have the right to come back. I'm a fighter. I'm glad that Audrey gives me the force to do this. I cannot let her fail. If it were the other way around, I know she would do it, too," he tells Cocking. Ferreras initially launched a $150,000 crowd-funding campaign on the Internet to finance a 90-minute documentary on the dives. But he has suspended that effort, saying he is confident his company, CAMM Productions, can sign up private sponsors to underwrite the costs. While Ferreras has stayed away from record attempts for the past decade, he said he has continued to train, diving and spearfishing and working out in the gym by holding his breath and climbing the Stairmaster. A year ago, he married South Beach model Nina Melo, 22. Ferreras has taught her how to hold her breath past 100 feet deep and how to spearfish. The tragedy was the subject of numerous newspaper and magazine articles, two books, and several television news programs, including ESPN Films' "Nine for IX" documentary, No Limits, that premiered last month. In 2007, Ferreras' former friend and business partner, Carlos Serra, wrote a book called The Last Attempt (Xlibris, 2006). In the book, he accused Ferreras of deliberately failing to fill Mestre's air tank so that Ferreras could hold onto his world record, stage a dramatic rescue and focus international media attention back on himself. Coloradans Luke DeMuth, and Junaid Dawud recently hiked over 1,300 miles to complete the first-ever through-hike of all 58 of Colorado's 14,000-foot peaks, a 70-day mission that ended last month on Longs Peak (see related story below). They climbed about 300,000 vertical feet in this first of its kind mission, according to the Denver Post (Sept. 27). DeMuth and Dawud weren't necessarily aiming for records or glory, instead choosing to dedicate their project to the youth-mentoring Big City Mountaineers. "It's a cool bonus to be the first, but honestly I just wanted to do it," says Dawud, who twice hiked the 2,663-mile Pacific Crest Trail. "I was just jonesing for a long hike. Being first makes it our own adventure," Dawud tells the Post's Jason Blevins. Both reported gobbling ibuprofen – "Vitamin I" they called it – as they arose before dawn each morning. Their basic food staple was instant mashed potatoes, bags of pasta and dehydrated beans, and a steady stream of Snickers. A bottle of Jim Beam was another source of motivation when things get rough. There's money out there if you know where to look. Here's news about over $150,000 in grants and awards from six organizations worth pitching. The Club's Youth Activity Fund Grant supports high school students and college undergraduates. Its goal is to foster a new generation of explorers dedicated to the advancement of scientific knowledge. Awards range from $500 to $5,000, with the average approximately $1,500. Only a few grants may be awarded at the $5,000 level. The Exploration Fund Grant is for graduate, post-graduate, doctorate and early career post-doctoral students. It provides grants in support of exploration and field research for those who are just beginning research careers. Awards range from $500 to $5,000, averaging approximately $2,500 each. Only a few grants are available at the $5,000 level. Deadline is Dec. 16, 2013. This grant program is dedicated to funding exploration of largely unrecorded or little-known areas of the earth, as well as regions undergoing significant environmental or cultural change. It supports a wide range of projects including marine research, archaeological discoveries, documentation of vanishing rain forests, first ascents, and more. The program is editorially driven; projects must have the potential for a compelling written and visual record in order for a grant to be awarded. Applications are also judged on the qualifications of applicants and their teams, and on the merit and uniqueness of the project. Grants generally range from $15,000 to $35,000; a separate Young Explorers Grants (YEG) program offers $2,000 to $5,000 to individuals ages 18 through 25 to pursue research, conservation, and exploration-related projects consistent with National Geographic's existing grant programs. Expeditions Council-supported projects are featured across National Geographic media platforms. The Rolex Awards for Enterprise were created in 1976 to mark the 50th anniversary of the Rolex Oyster - the world's first waterproof watch. They support pioneering men and women taking on major challenges in order to benefit mankind. The Awards help forward-looking individuals worldwide to carry out groundbreaking projects advancing human knowledge and well being in the areas of science and health, technology, exploration, environment and cultural heritage. In 2010, Rolex expanded the Rolex Awards to include Young Laureates, supporting pioneers between the ages of 18 and 30. This award was established in 2001 following the death of Hans Saari, a renowned writer and adventure columnist who was highly regarded for his ski expeditions, many of which yielded first descents of some the world's most challenging peaks. 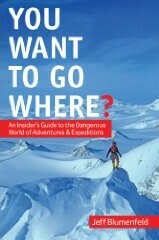 Grants encourage the development of skills and qualities consistent with writer and explorer Hans Saari's approach to skiing and travel in the mountains. It supports not only skiing and exploration in alpine environments, but also encourages creatively documenting the experience. While ski objectives do not need to be at the leading edge of ski mountaineering to receive this grant, proposals that focus on unexplored or unskied objectives will receive special consideration. Repeats of difficult and historic routes will also be considered. The Fund may award $15,000 and up to three to five grants annually. Jonny Copp and Micah Dash were two of America's leading alpine climbers, adventuring to the farthest corners of the world in search of first ascents in the purest style. These two great alpinists and storytellers were passionate about sharing their adventures with the rest of the climbing world through photographs, videos and slideshows. Tragically, in May 2009 they were killed in an avalanche in western China, along with filmmaker Wade Johnson. The Copp-Dash Inspire Award was created to support climbers who choose to emulate Copp and Dash. It offers $20,000 in grants to North American climbers for expeditions between May 1 and February 28. Winners receive multimedia instruction to help empower them to share their current and future adventures with a wider audience. The American Alpine Club Grants: "Who Needs Toothbrushes?" The Club's grants and award programs – over a dozen in all – provide over $50,000 annually to cutting-edge climbing expeditions, research projects, humanitarian efforts, and conservation programs. Log on to find the grant program that closely matches your project. We were spellbound by a nine-minute video running now on Wimp.com. In it, woman climber Steph Davis calls free soling "an expression of being so in control you'll know you can do it without falling ... you have a pretty strong dialogue with fear." She continues, "I don't have to be paralyzed by fear - I can just go do it." Scenes show her 1,000-ft. ropeless free solo of Pervertical Sanctuary on the legendary Diamond, the sheer and prominent east face of Longs Peak in Colorado. Chris Fischer, shark conservationist, held his own on Sept. 26 against smart aleck comedy show host Stephen Colbert of The Colbert Report on Comedy Central. Fischer calls sharks the "balance keepers," explaining, "Sharks have to keep the other predators down. If we lose our sharks, we lose the ocean." He says over 200,000 sharks are lost every day to satisfy the demand for shark fin soup in Asia – up to 73 million sharks a year. Asks Colbert, "How many people are killed a day by sharks?" "Just a couple of year," says Fischer. "So we're winning," jokes Colbert. Explains Fischer, "A shark is like a fighter you've got to respect." The name given to whiskeys that go to the ends of the earth for a better, well, buzz. These whiskeys have thrilling back stories, such as Mackinlay's Shackleton Whisky that was submerged under arctic ice for decades; unmatured malt whiskey from Ardbeg Distillery in Scotland sent to an unmanned cargo spacecraft along with particles of charred oak; and Ocean Bourbon from Kentucky that was aged on a 126-foot ship for about 3-1/2 years as it traveled more than 10,000 nautical miles. (Source: Wall Street Journal, July 20-21, 2013). Long distance ocean kayaker Justin Jones will share the stage with Norwegian explorer Aleksander Gamme at the 2013 Banff Mountain Film and Book Festival, to talk about rivalry, friendship, and the unexpected noble gesture. It's one of dozens of events over nine days that marks the largest festival of its kind, a gathering of filmmakers, photographers, writers, adventurers, conservationists, and fans for screenings, talks, readings, and exhibitions in Banff, Alberta. The schedule also includes legendary mountaineer Apa Sherpa, the first person to summit Everest 21 times. More than 60 films will screen during the nine-day festival, and an international jury will award over $50,000 in prizes. This annual AAC dinner in New York will celebrate the first ascent of Everest's West Ridge, considered the greatest Himalayan climb in American mountaineering history. Also on the program at the Union Club (101 East 69th Street) will be the first AAC screening of a recently enhanced and updated 3.7 billion pixel panorama of Everest composed by David Breashears as part of his Glacier Works project. Tickets are $200 for AAC members and guests.